With their unruly protests, aggressive and with often violent riots as consequences of the supposedly deep psychological wounds of slavery, racism and a structural biased and cycle of oppression against black people in the 21st century, BLM have come across more like demonic Nazi aggressors rather then peaceful Cappuccino sipping ethnic millennials. While this carnage and racial disharmony was at its most heightened, there was a black president seated in the White House seemingly doing nothing… just saying! Now, it’s not as if Black Lives Matter does not have good intentions, the intention behind the movement is pure in theory, but the way the message is conveyed is anything but pure. Disturbing the normal and law abiding citizens daily lives by blocking highways and preventing them from going to work or even to the hospital for medical care; is not going to win them any popularity contests, whilst preaching to every white person that they are racist and are apart of the problem and then hold some kind of ‘white privilege’ terminology, over a sobbing black community is not going to win you any friends or allies, either. 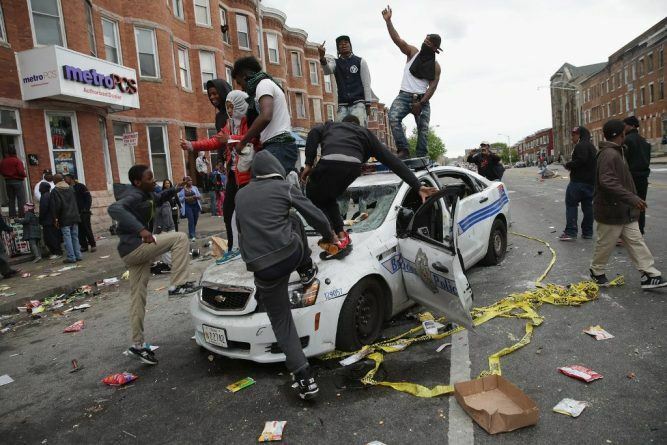 Looting, vandalising, stealing and engaging in violent attacks and antisocial behaviour, simply make you criminal; to evening the notion of an outdated stereotype that the BLM movement wants to eradicate, yet at the same time, it falls right into. Ultimately, there are many-many problems with the Black Lives Matter movement, so let’s us document just a few. Black Lives Matter come across as amateurish, uneducated and unsophisticated and as a result the BLM movement falls into the same category as radical feminists, Islamic terrorists and far left extremists, because they portray themselves as unlikable, ignorant, aggressive and they lack the skills required to communicate their message without resorting to fear, propaganda, lies and violence. A movement without a good cause. BLM have pissed off and angered a lot of people, including the American Police Department’s in many states, who have been scrutinised, harassed, attacked, victimized and painted as racists who don’t know how to do their job in reacting to this extremist movement. Yet, the facts contradict the countless lawless and unruly rallies, demonstrations and the dangerous mob mentally that the BLM always seemingly adhere to. And, what are those facts? Fact 1 – As of July 2016, the breakdown of the number of US Citizens killed by Police was 238 White people killed, 123 Black people killed, 79 Hispanics, 69 other/or unknown race. Fact 3 – According to the Bureau of Justice Statistics, blacks were charged with 62 percent of all robberies, 57 percent of murders and 45 percent of assaults in the 75 largest U.S. counties in 2009. Fact 4 – In New York City, where blacks make up 23 percent of the city’s population, blacks commit three-quarters of all shootings and 70 percent of all robberies, according to victims and witnesses in their reports to the New York Police Department. Whites, by contrast, commit less than 2 percent of all shootings and 4 percent of all robberies, though they are nearly 34 percent of the city’s population. 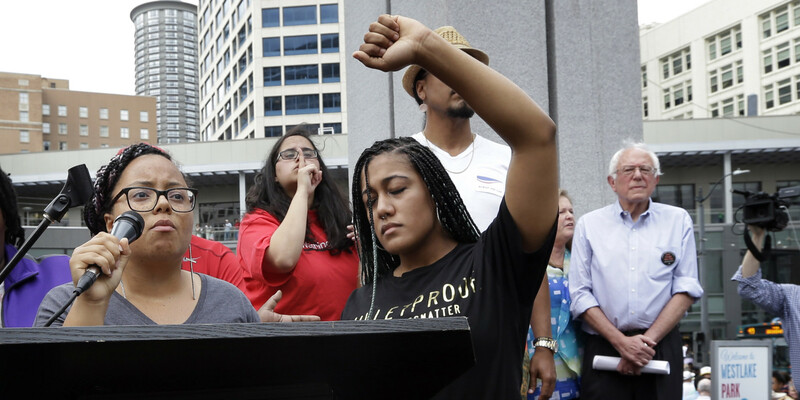 Fact 5 – In Chicago, 80 percent of all known murder suspects were black in 2015, as were 80 percent of all known nonfatal shooting suspects, though they are a little less than a third of the population. Whites made up 0.9 percent of known murder suspects in Chicago in 2015 and 1.4 percent of known non-fatal shooting suspects, though they are about a third of the city’s residents. 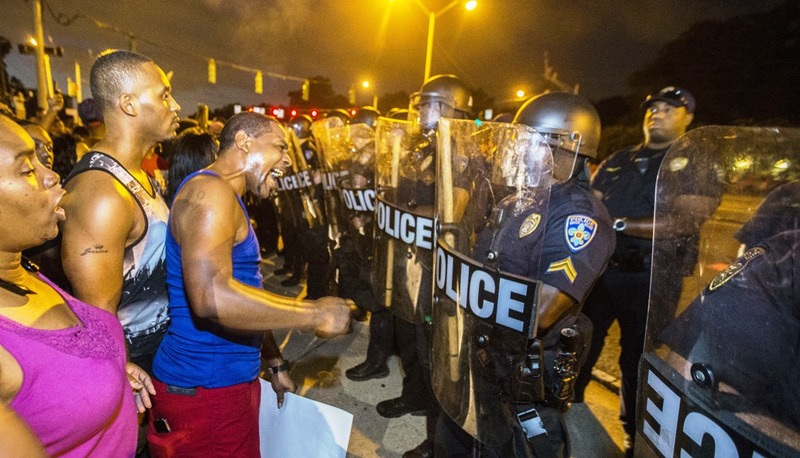 Fact 6 – Blacks are more likely to kill cops than be killed by cops. This is according to FBI data, which also found that 40 percent of cop killers are black. According to MacDonald, a police officer is 18.5 times more likely to be killed by a black person, than a cop killing an unarmed black person. Ultimately, the idea that the U.S. is experiencing an epidemic of racially driven police shootings is completely false and dangerously so. But, if facts don’t matter to Black Lives Matters, than what actually does? The fear mongering that BLM has generated has caused extreme riots and protests all in the name of Black Lives Matter and it has even seen brutality and violence towards those very same police officers, who protect and serve these unruly citizens in their communities. Some incidents have even resulted in the death of innocent police officers. One incident involved a sniper, whom fired on police in downtown Dallas, killing five officers. But, that wasn’t the only case involving brutality towards law and order, as a former marine killed three officers in Baton Rouge, as BLM protests in the city were ongoing. The BLM movement has the blood of innocent police officers; ironically some of them black themselves, smeared on their name, a name that leaves a very bad taste in the mouths of any law-abiding citizens, regardless of their skin colour. The assassinations of police officers in the name of Black Lives Matter’s ideology have not slowed down the anti-cop demonstrations or diminished the virulent hatred directed at cops during those protests, in fact hatred grows and the delusion spreads far and wider . What of the face and martyr of the BLM Movement, Michael Brown? The man who single handedly started the now notorious Ferguson riots of August 2014. Chants of “hands up, don’t shoot,” echoed throughout social media as the perfect representation of how mistreated the black community was by law enforcement, yet, once again the facts outweighed the fiction. The innocent and angelic 18 year old that was now a pillar to the community, an upstanding citizen helping little old grannies cross the road and rescuing stray kittens from trees, well, that is the image the BLM leaders would want to have you believe, yet the truth is however, far more sinister. The hulking, nearly 300-lbs Michael Brown had been portrayed as an innocent doe-eyed angel that unfairly cut down by evil police, as a truly promising future awaited him. Despite blatant lies from supposed witnesses that tried to derail and obstruct the law, evidence became available soon after the shooting that even shows Brown tried to viciously wrestle a gun away from 28-year-old white male Ferguson police officer Darren Wilson, before being shot and killed. Before the shooting Brown used violence and the threat of even more violence to steal (picture above). With an accomplice, he knocked over a convenience store, bullying the victim with his prodigious size and weight, as he stole from the owners store, this was caught on CCTV footage, but of course the BLM movement and the extreme left wing mainstream media, turned a blind eye to this evidence and those facts. 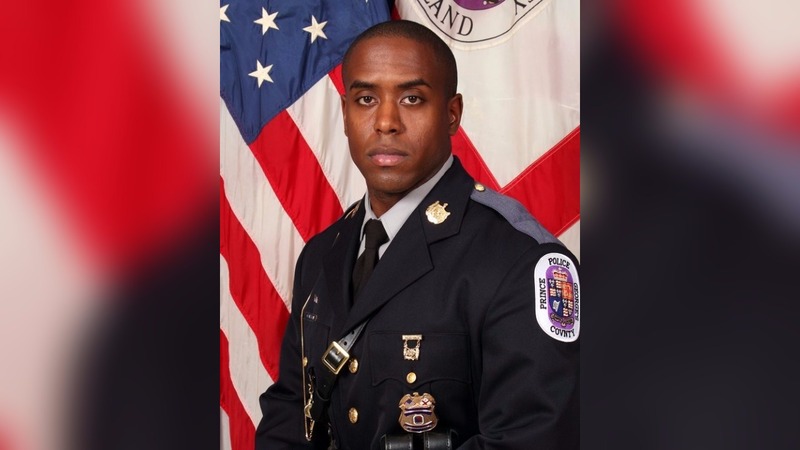 Nor, do they seemingly respect the law, as after several months of deliberation, a grand jury decided not to indict Officer Wilson for any criminal charges in relation to the incident. Officer Wilson was simply a humble law enforcer doing his job and protecting the community, a community that had painted him as a racist, a white supremacist, all thanks to the lies and scaremongering of the BLM movement. Darren Wilson was a good cop just doing good police work with good results; he should have got a medal for doing such a good job and in stopping a dangerous criminal like Michael Brown. But, instead a good man’s career and well-being was destroyed, all in the name of a misguided movement that cannot handle the truth and that uses disgusting lies to spearhead its hateful rhetoric across America. Black Lives Matter? You bet, they do. Other lives, do they matter? Screw you! 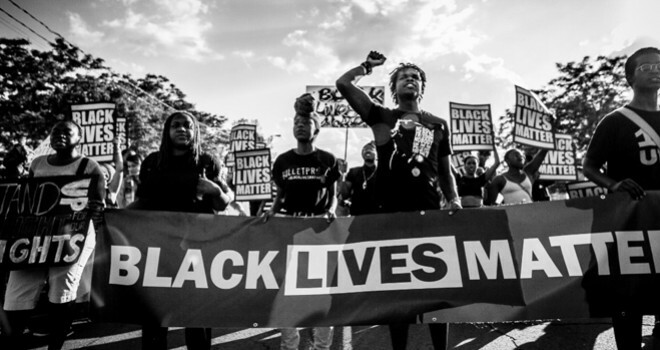 Founded by a core group of revolutionaries who detest the United States and revere the nation’s most devoted radical enemies, BLM is, at it’s essence, an ideological reincarnation of the Black Panther movement that flourished in the late sixties and was glamourised by misjudged celebrities, just like how Beyoncé promoted the likes of the BLM in her Super Bowl performance in 2016, whilst everyone’s favourite leftie President, Barack Obama was in office. Whilst, insisting that the BLM movement is diverse and non-racial, that hasn’t quite stopped BLM organizers insisting that all white people go to the back during their rallies or that whites don’t understand the ‘’struggle’’ that black people face and their support is of little benefit to the BLM cause. There have also been reported attacks on white members of the public during BLM protests and black people acting out in ‘’anger’’ at innocent white bystanders. simply because they were white and were just standing there. There were 6,095 Black Homicide deaths in 2014— the most recent year for which such data that are available — compared with 5,397 homicide deaths for Whites and Hispanics combined. Almost all of those black homicide victims, were as a result of black killers. “Black Lives do not matter to most black people…Only the lives that are taken at the hands of cops or white people, matter.” Those are the words from Officer Jay Stalien, a black policeman in Palm Beach County, Florida, which really sums up the misguided ideology of the BLM movement. An extremist group that manipulates statistics to prove their false narrative, Black Lives Matter have many, many problems, the biggest problem being BLM itself. Now, get in formation Beyoncé!